As per the directions of the Hon’ble Supreme Court of India, the institute will strictly follow the UGC regulations on curbing the menace of ragging as per provision of Higher Educational Institutions anti ragging act 2009. In accordance with these regulations the admitted student as well their parents are required to submit independent affidavits as per prescribed format. Ragging of any student is a criminal offence and stringent measures have to be taken for curbing the menace of ragging in educational institutions. LGC administration is very conscious of its responsibilities in this regards. Students and parents need not harbor undue apprehensions, and should report any such incident immediately to the Anti ragging committee/ Principal of the college. If any incident of ragging comes to the notice of the authorities, the concerned student shall be given a chance to explain his/her position in this regard and if his explanation is not found to be satisfactory, the authority would take appropriate action against him/her which may include expulsion from the institution. Armed with strict orders from the Supreme Court Of India and All India Council for Technical Education (AICTE) to constitute monitoring committees to prevent ragging, the engineering colleges are leaving no stone unturned to prevent ragging, since last few years. Further, we look forward to your continuous support in this direction for the coming session as well as years to come. Today, the ragging has become synonym with teasing, terror, harassment, cruelty, fear , physical and mental torture and abuse of human rights of fresher, which are resulting in numerous unavoidable deaths, suicides, group clashes/conflicts and large number of fresher dropouts. 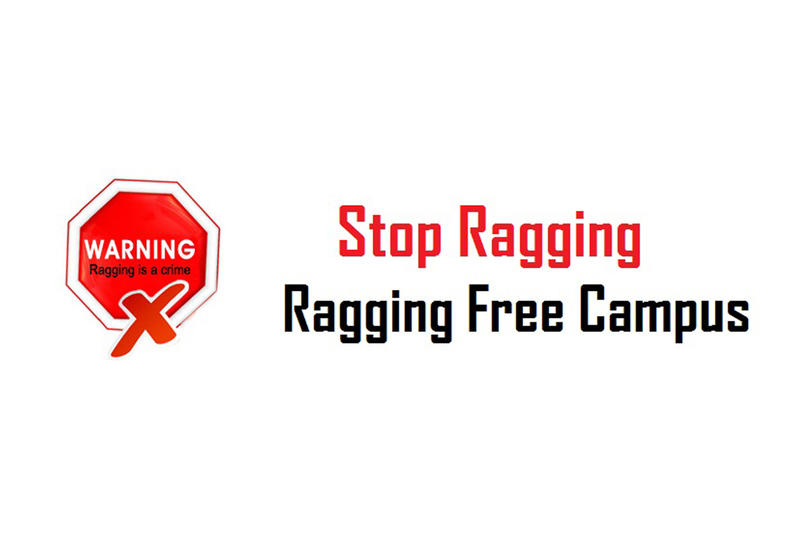 It is emphasized that LGC considers ragging as a cognizable and heinous offence and will not hesitate to take stern action against the offenders with a view to maintain Ragging Free Campus. Suspension / Expulsion from hostel.